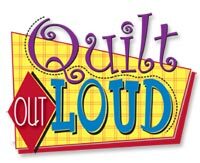 QNNTV.com is granting visitors FREE access to their library of over 1,000 quilting videos over the next three days! If you haven't had a chance to see the quality of their productions, they are excellent, informative, and often entertaining as well. Go take a look and tell your friends, this offer is only good Friday the 23rd through Sunday the 25th! No coupon code is necessary, simply click here to sign up and get access for the next three days to QNNTV.com. Do you like this free access offer from QNNTV.com?